better effect on your skin. the skin is not greasy. 40% of snail slime for a longer and better effect on your skin. Organically and manually gaining polžje snail slime without hurting the snails. Excellent absorption and after the application, the skin is not greasy. 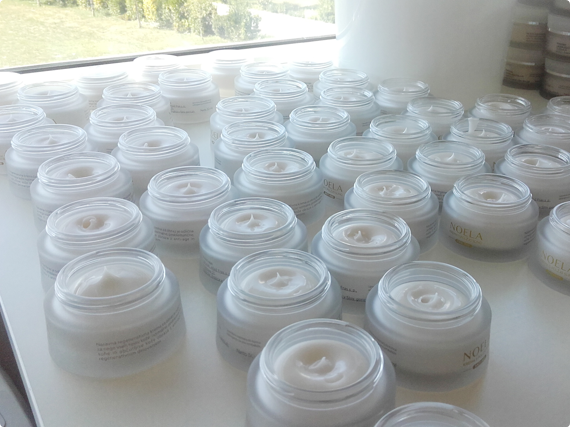 The Noela cream is also available in smaller and more convenient packaging, suitable for travel. The Noela Cream with snail slime in combination with jojoba oil, shea butter and beeswax offers exceptional regenerative care and the feeling of soft skin. 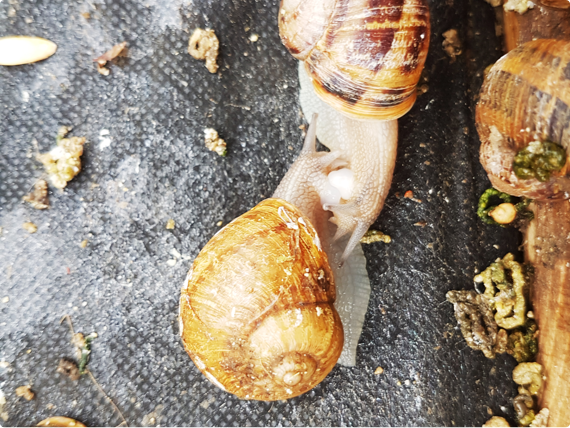 Snail slime is a natural source of many nutrients, especially alantoin, which stimulates the skin’s self-regeneration, and it also treats damaged tissue. The Noela cream thus eliminates scars and skin burns as well as toenail fungus and itching, and calms the skin after shaving and depilation. It is also excellent for dry skin. Snails are the only animals in the world that have the ability to repair their damaged house only within two hours. As snail and human skin are very similar, the Noela cream with 40 percent of snail slime brings outstanding results also in eliminating skin defects. After using the Noela cream problems with pimples, acne, stretch marks, age spots and warts will only be a memory. With the Noela cream the depth of eye wrinkles is reduced by more than 75 percent within four to six weeks. Snail slime stimulates the formation of collagen and elastane, protects the skin from free radicals, improves the damaged tissue, and restores the skin’s moisture. After regular application, two to three times a day, the Noela cream with snail slime penetrates into the deeper skin layer, maintaining the skin soft and nourished. Polžjo slino so v zdravilne namene uporabljali že v Antiki, današnja uspešnica v kozmetični industriji pa je postala potem, ko so kmetje v Čilu, ki so za francoski kulinarični trg rokovali s polži, opazili, da imajo občutno mehkejšo kožo. Polžja slina je polna hranilnih snovi kot so hialuronska kislina, kolagen, elastan, alantoin, antioksidanti, proteini in vitamini, torej sestavin, ki so temelj kozmetične industrije in so dokazano blagodejni za kožo. Te snovi pomagajo ščititi polževo kožo pred poškodbami, infekcijami, suhostjo in UV žarki. Na trgu je veliko produktov iz polžje sline, Krema Noela pa izstopa zaradi visoke, kar 40 odstotne vsebnosti polžje sline in naravnega dodatka shea masla, jojobinega olja, čebeljega voska in vitamina E. Prvi rezultati se začnejo kazati že po dveh do treh dneh uporabe. Tudi predsodki o polžji slini kot sluzasti in nagnusni snovi so odveč. Slina, ki jo pobiramo mi, je namreč nebeško modre barve ter še najbolj podobna vodi. V svetu je znanih veliko načinov pobiranja sline, tudi s stroji, vendar mi prisegamo na ročno delo, saj to zagotavlja maksimalno kakovost. Polže gojimo v najboljših pogojih in varovanem okolju, zato je slina naših polžev izjemne kvalitete. Po končanem postopku pobiranja sline v laboratoriju natančno preverimo količino in vsebnost učinkovin. Podrobnosti si lahko ogledate v našem videu. 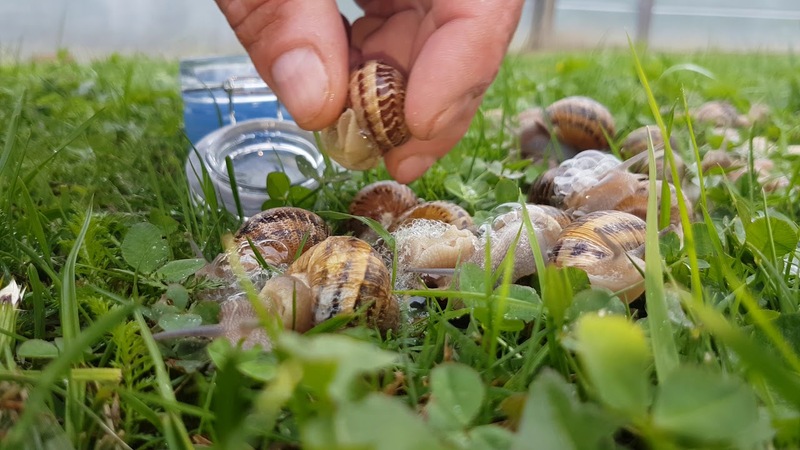 The NOELA company has grown from a family business which started a few years back with a snail farm for culinary purposes. Nevertheless, over time, given the market demands, we have found our challenge in the manufacture of cosmetic products of superior quality. Due to the high demand and efficiency of creams with snail slime, we have decided to try to overcome the competition. Therefore, we add 40 percent of snail slim to our cream, as the higher slime content sopports faster and more effective results. The snail farm and the production of creams require a lot of time and knowledge. Because in Slovenia there is not a lot of literature nor people with experience in this field, we are much left to the laws of trying and learning. The whole family is involved in the business and throughout all this time we have learned a lot about snails. 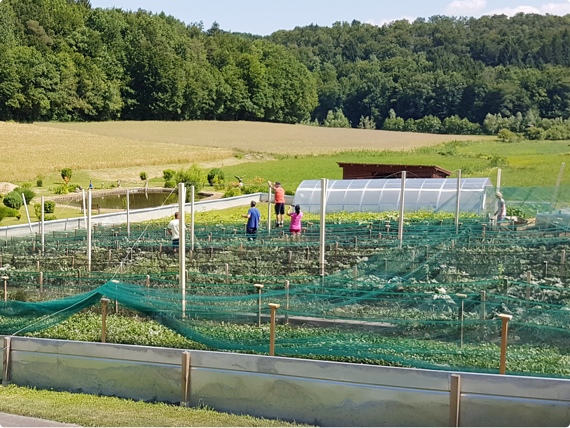 Our Noela cream has also been approved in the framework of the Štartaj Slovenia project, where it has been declared hit product of 2017. We are extremely proud of this achievement, and we would like to thank the authors of the show as well as it viewers, and customers who have shown confidence and support. We joined the project in the spring of 2017 when we presented our cream to the show’s producers, enthused them about it, and they were also an inspiration to us. We signed up for the project as we are convinced we have an innovative and a high-quality product we wish to present to the entire country. We are especially grateful for all the help, useful tips and guidance during the project.